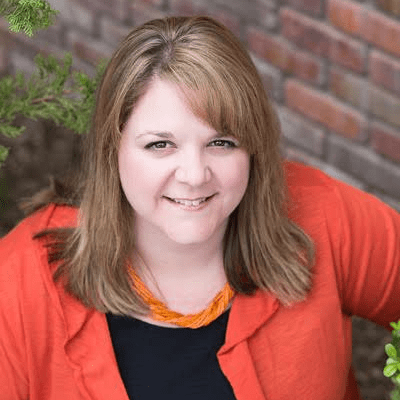 Home » Printable Lunchbox Notes: back to school fun! That’s how many peanut butter and jelly sandwiches I make every school year. That’s how many peanut butter and jelly sandwiches I make during the school holidays. Well, to be honest there are a few days here and there that we are either out for lunch somewhere or eating something different. Sundays, for example-we don’t have PB&J on Sunday afternoons because that’s our big meal of the day. But, it’s very likely that we’re having them for dinner after church on Sunday night! That means that every morning (or at least 180 of them) my counter looks something like this. 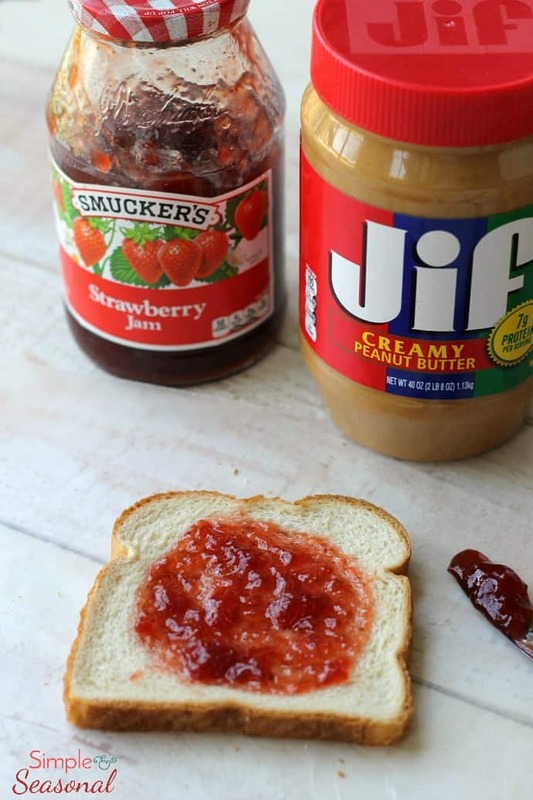 One big jar of Jif® Creamy Peanut Butter sits next to a jar of delicious Smucker’s® Strawberry Jam. (Consequently, every other trip to Walmart means I have a jar of each in my cart.) Oh, and you’d think we would maybe switch things up with grape jelly or even crunchy peanut butter, but NO. Absolutely, positively NO. 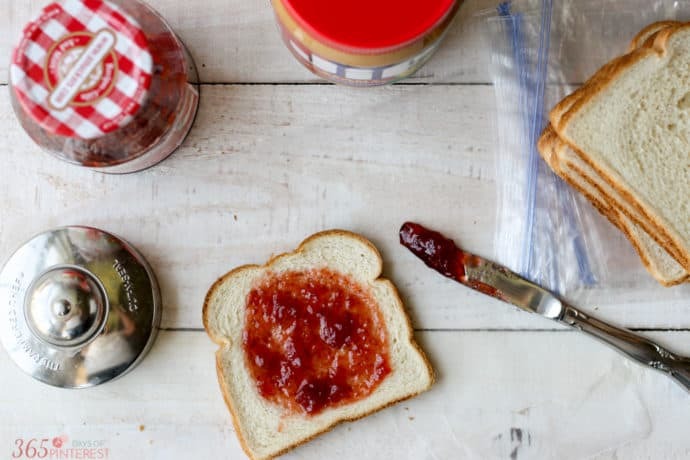 There must be no alterations made to our favorite, classic peanut butter and jelly sandwich! One thing I can do to make packing lunches a little more exciting is to cut sandwiches into shapes. Charlie really likes shaped sandwiches. Another thing is to include a note in their lunchbox. It’s a quick and easy way to tell my boys that I’m thinking about them when they’re away from me during the day. Charlie is starting 1st grade, so the world of reading has just opened up to him. I made sure to include simple words and jokes that he would understand. Henry (going on 9 years old now) thinks riddles are so cool and likes to read them with his friends, so there are a few in there for him, too. When you’re making the sandwich, be sure to keep all the filling in the center of the bread. That way you don’t waste any of that delicious goodness when cutting out shapes. Look for wider style loaves of bread and try cutting two shapes out of one sandwich. Put the lunchbox note in a baggie so it doesn’t get wet and you might even get it back again for reusing! Peanut butter and jelly sandwich crusts make a SUPER yummy french toast bake. Make this Overnight French Toast Bake with the leftovers. It’s not as pretty when you make it with random chunks of bread instead of nice big Texas toast slices, but it tastes just as good! And when you get a random little hint of strawberry jelly in a bite, it’s like a bonus! 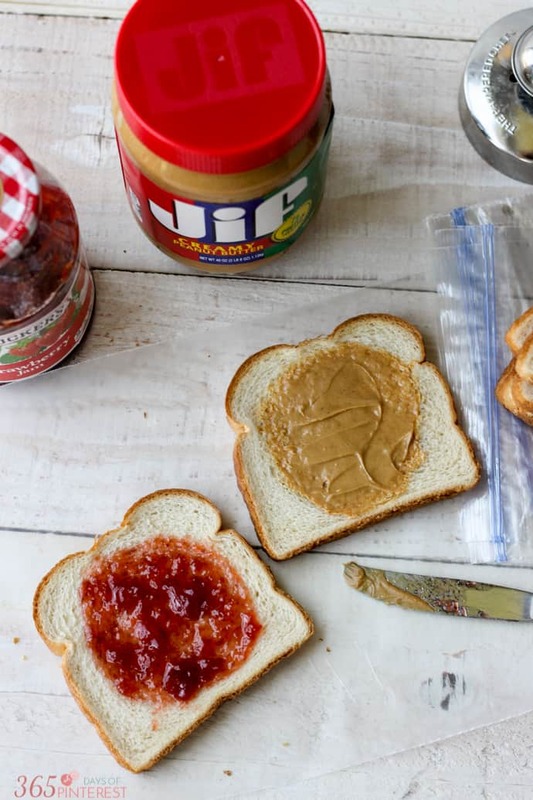 🙂 Click here for more peanut butter and jelly love. 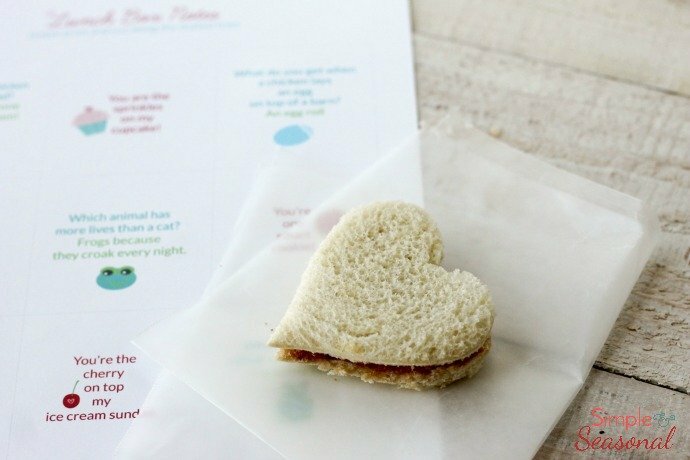 Download your free printable lunchbox notes here! Jif and Smuckers are the best! Loving your printable notes too. My kiddos love getting special notes in their lunches. Is there anything better than a PB&J Sandwich. I loved it as a childa and I love it as an adult!. 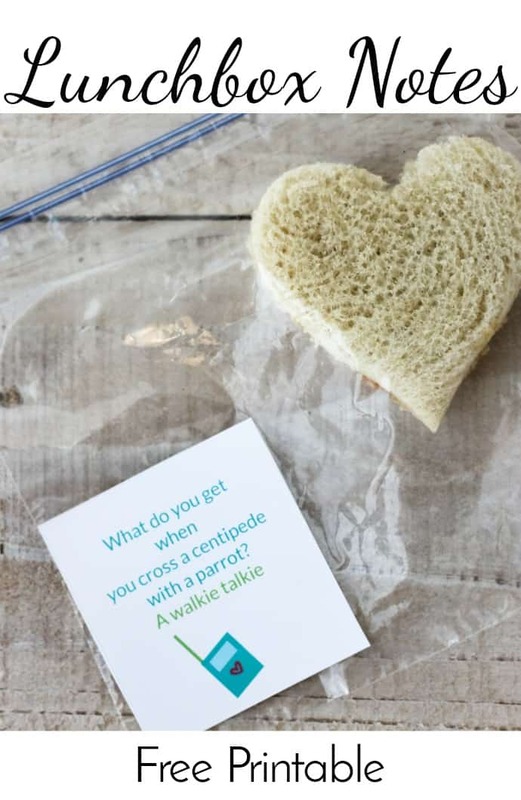 Adding printables in the lunch box is such a great idea.